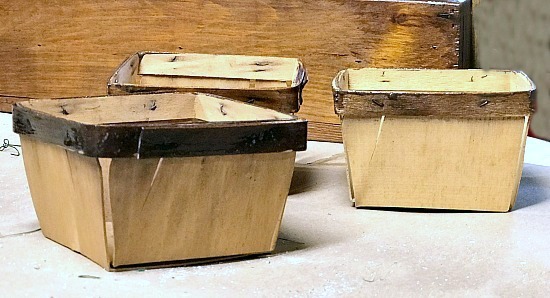 A while back I found a pile of vintage berry baskets and a wooden box at a garage sale. 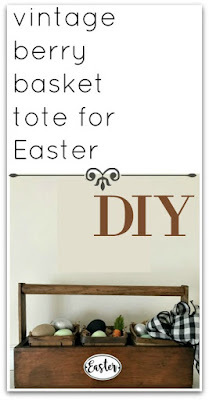 Those vintage berry baskets became my latest rustic tote project for Easter. 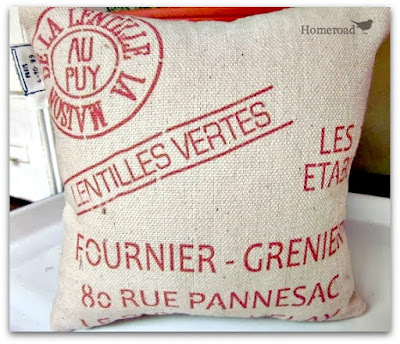 It is the tenth of the month and that can only mean that my friends and I are sharing our favorite DIY projects. The theme this month is Easter. 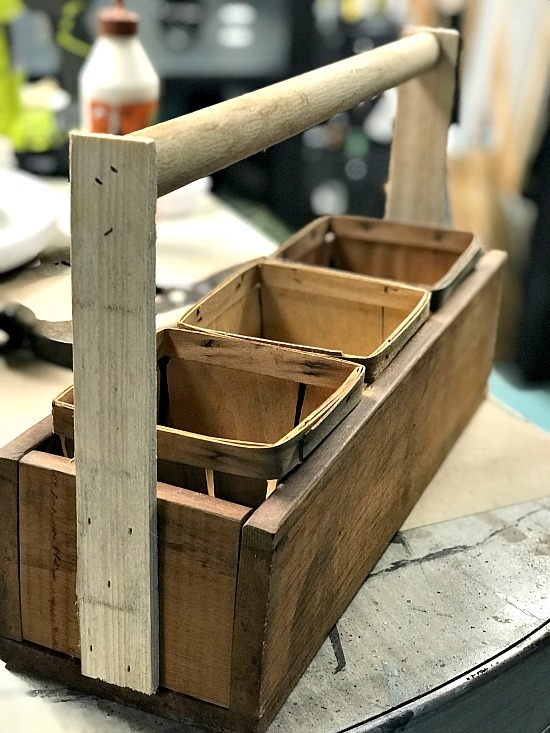 I began by adding a handle to the box by nailing and gluing on 2 scrap pieces of wood and a thick dowel. 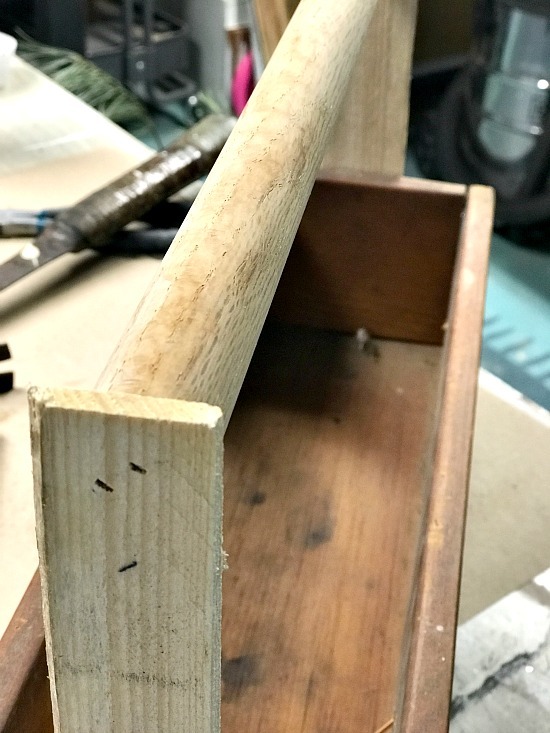 While the wood glue on the handle was setting I reinforced the sides of the box and clamped them to tighten it up a bit. The berry baskets were a perfect fit! I wanted the handle to match the box a little better so I used a poly with stain to seal the wood and make it darker. See below for all my suggestions from Amazon craft supplies for this project. It took a couple of coats for the handle to be dark enough. It didn't have to match exactly because the berry baskets were a lighter color too. I brushed on a little stain around the edges of the berry baskets too to give them a little character and to match the tote. 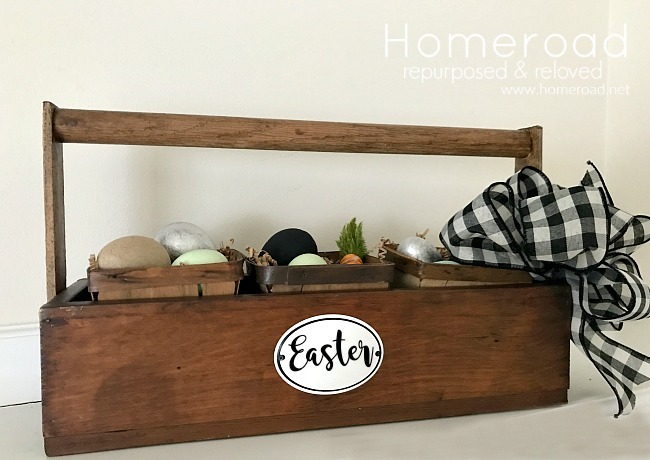 I filled the baskets with brown paper basket filler and with DIY chalkboard and silver Easter eggs. 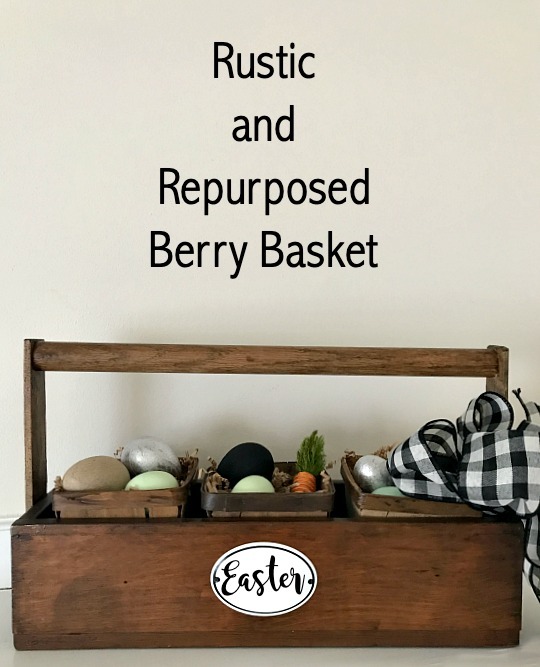 It's the perfect vintage tote filled with vintage berry baskets and Easter goodies. Frosted Mason Jars for Easter. and see what she ready to share with you! 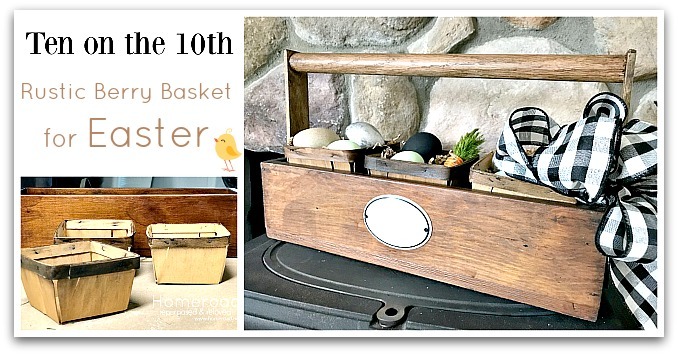 Love the ideas you've come up with for your baskets and wood box, Susan!!! I remember those old berry baskets from when I was a kid. 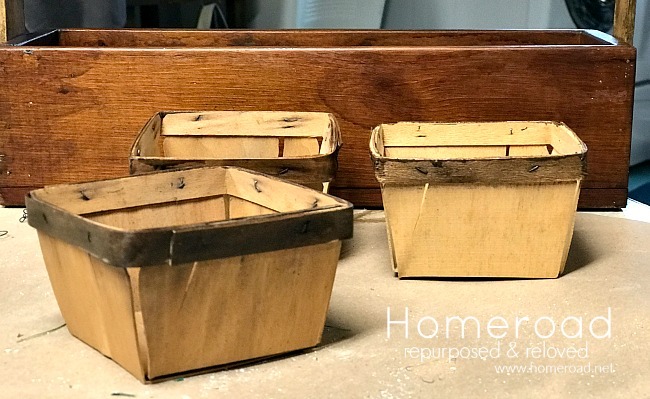 They were sturdy and are perfect for home decor projects. 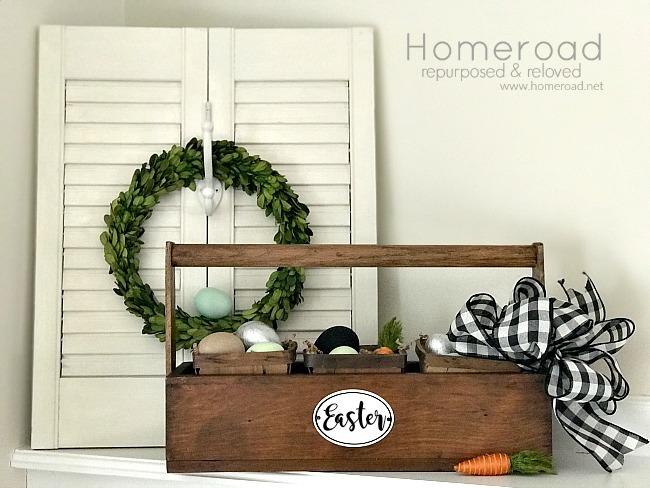 Great idea to turn the box into an old-fashioned toolbox for Easter! Susan this is the cutest thing ever! I LOVE it! It reminds me of my Dad's old tool box, but way prettier. Such a great idea. Thanks for sharing! Thanks so much Tammy it was a fun project to make! Susan, I love this! 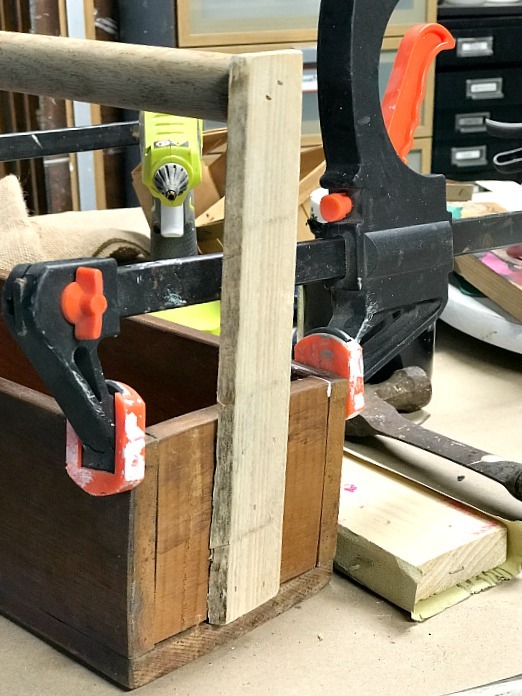 You have some great wood-working skills. 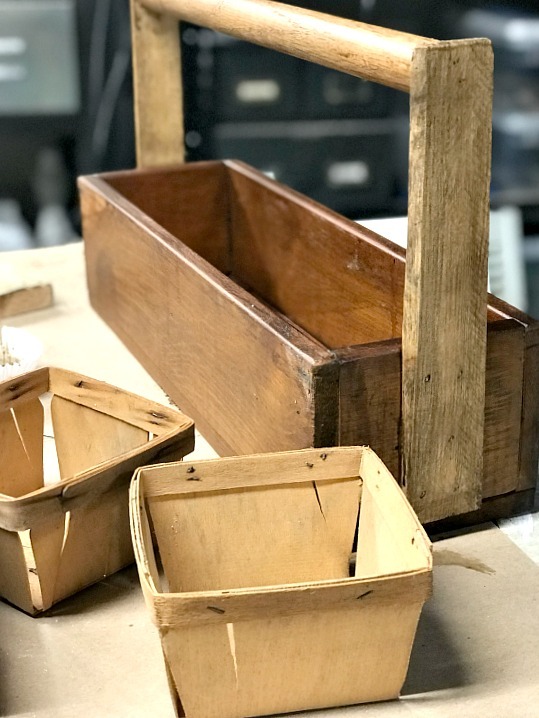 The handle looks like it has always been there and those little baskets look perfect with your box! 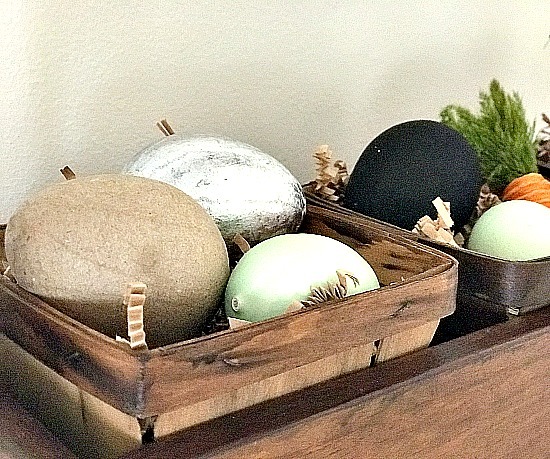 It made the perfect Easter display! Have a great one! Hugs! haha my woodworking skills are definitely getting better Benita but thank you! That is so stinkin' cute! I would have never thought to do that. Great job! What a great idea for those berry basket! I've seen them before and couldn't think of what to do with them. Now, I'm inspired, Susan! 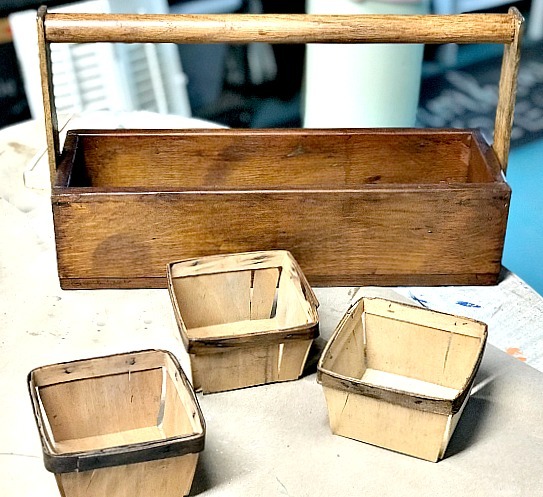 I'm so glad Ann... it was purely an accident I bought the crate and the baskets at the same garage sale and realized they fit inside... project made! 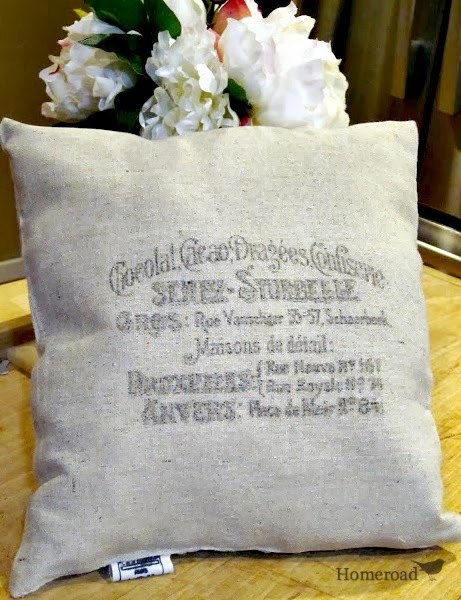 Susan, I am so impressed with this DIY project. I'll never pass berry boxes by again. 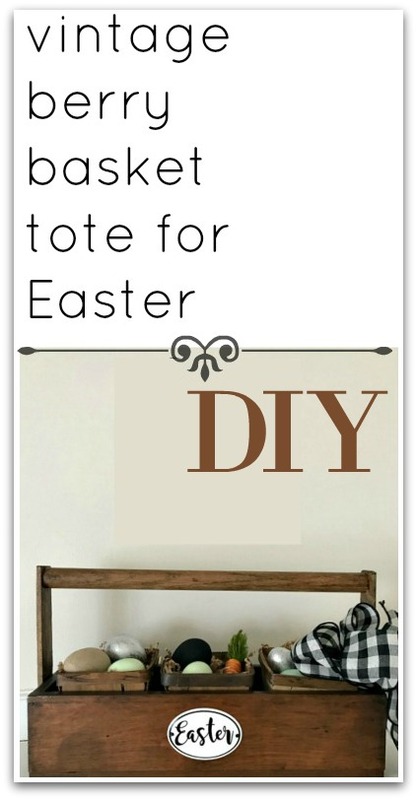 So cute for Easter and other holidays. You are the Tool Queen. Pinned to boards and tribes.